It feels like December 2017 came and went in a blink of an eye. It might already be the New Year, but it's never too late to highlight the tracks that stood out at the very end of the year. Georgi Kay is back with another stellar tune, "Guilty Pleasures". Instantly washing you over with brooding synth, Georgi's vocals embrace a haunting melody that next level. It's a the chorus that's packed with enormous horns that pound the ground below you. It's was the perfect track to end 2017 with. Expect more from Georgi Kay in 2018. Dublin's EDEN has blown up quite quickly and as he rolls out new material things just keep growing. His latest single "crash" is a truly stunning track. If you're not caught instantly by simplistic guitar-backed intro, you'll be locked in once the full production kicks in. The lyrics dive into the outpouring of the feelings and thoughts one is consumed by after heartbreak. EDEN is set to tour the US this Spring, just another notch on his way up the indie ladder. Expect 2018 to be the year EDEN becomes a name everyone knows. New York-based Stevie Wolf emerged on single "Who" that's a fresh track delivering a sound so refreshing yet so familiar and comforting. The lyrics dive into the topics of identity loss while keeping things bright with the pop melodies. Stevie Wolf is definitely an artist on the rise worth knowing. Vera spent all of 2017 rolling out singles for his new EP. It's finally out, and all together its a true masterpiece. "Mystery" is a brand new highlight that delivers sultry guitars and a underlying heat that keeps things burning all the way through. It's a truly mesmerizing track that'll have you in a full on sweat by the very end. You can stream Vera's Good Job No Conversation EP in full here. We've been keeping our eyes on SITA throughout this last year. She's been rolling some truly great pop tracks and she adds "Around Me" to this collection. The verses are simplistic yet glorious while the chorus swirls you around in circles with her atmospheric vocals. We're expect some big things from this rising name soon enough. Keep your eyes on SITA. Toronto four-piece HONORS returned with their latest single "Valley". It's a haunting track that dives into alternative R&B melodies. The chorus breaks through the ceiling with its pop hooks that dig their way deep into your head. Dream away with this one below. Emmit Fenn has become one of our favorite risings artists over the year. 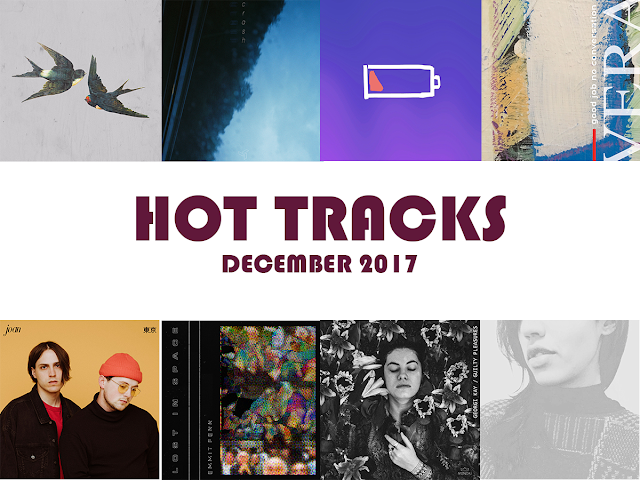 With two EPs under his belt in 2017, he topped off the year with this emotionally powered track that blast off into the skies with its soaring production and heartfelt melodies. Expect more from Emmit Fenn in 2018 as he's set to releases his highly anticipated debut album. joan is a duo based out of Little Rock, Arkansas. They release their third single "tokyo" this last month that dives into all the feelings you feel when you first fall for someone. The production is indie-pop at its finest with its classic alt guitars and glittering synth. One listen and you'll be taking off to a whole new world. Get familiar with joan below.